Whether it’s pre- or post-opera, a much-needed refuel amidst a day of pounding the pavement and sightseeing or that special occasion, some of Sydney’s finest restaurants are close to Sydney Harbour. Boasting world-class cuisine and to-die-for views, here are the top spots to grab some grub. Set in the picturesque setting of Rose Bay overlooking blue waters is Catalina, a family-run seafood restaurant that has been on the scene since 1994. Weaving their way into the tapestry of the dining scene in Sydney, Michael and Judy McMahon have continued to impress with quality food in a warm and welcoming setting, leading to Michael being awarded the Vittoria Legend Award at the Sydney Morning Herald Good Food Awards, 2011. This restaurant prides itself on being the best Southeast Asian seafront restaurant on the harbour, and, it will not disappoint. 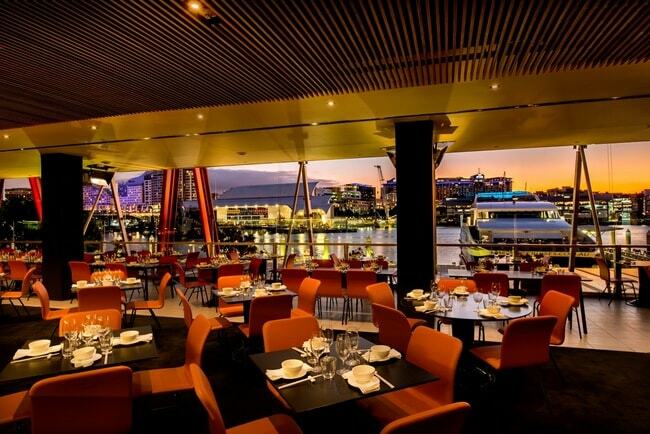 Founded in 1963, The Malaya continues to wow its loyal customers with contemporary takes on classics dishes whilst claiming some of the best views of the stunning waterways of Sydney Harbour. This little Mediterranean eatery in McMahons Point brings homely charm and quality fare together in one neat, little package. With a mouthwatering menu of all of the finest European flavours, Piato Restaurant can be added to your ‘best kept secret in Sydney’ list for its unbeatably warm and unpretentious manner, not to mention the quality food and harbour-side setting. This contemporary converted boathouse is a blend of chic seafood dining and unbeatable harbour views. The biggest draw: its wild obsession with oysters. 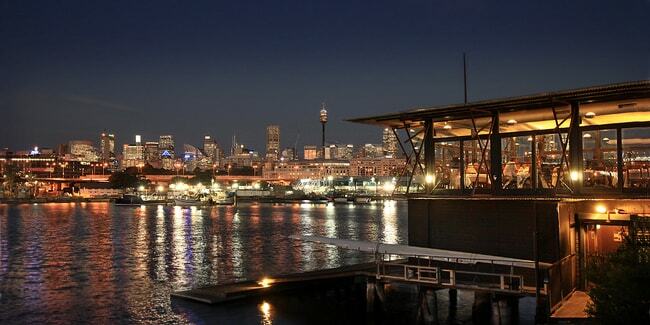 Go all out with the tasting plate for the full experience; The Boathouse truly boasts some of the best in Sydney. The menu is plentiful and flexible, covering all diets, from veggie-heads to meat-lovers. This restaurant, located moments from Sydney Harbour serves up the most mouth-watering cuts of eight-hour, slow-cooked ribs and perfectly built burgers, all but a stone’s throw from the water’s edge. Sign up to The Butchers Club, Ribs & Burgers‘ 5% cash back loyalty system that makes eating there even more juicy. This Asian food mecca in Potts Point nails contemporary dining in an on-trend, accessible way. 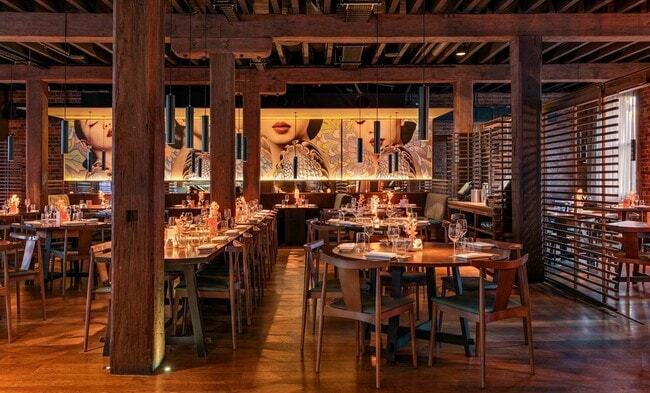 Steered by renowned Executive Chef Dan Hong (who is also at the helm of Mr. Wong and El Loco), the menu is artful and creative, a bit eccentric and all-round divine. 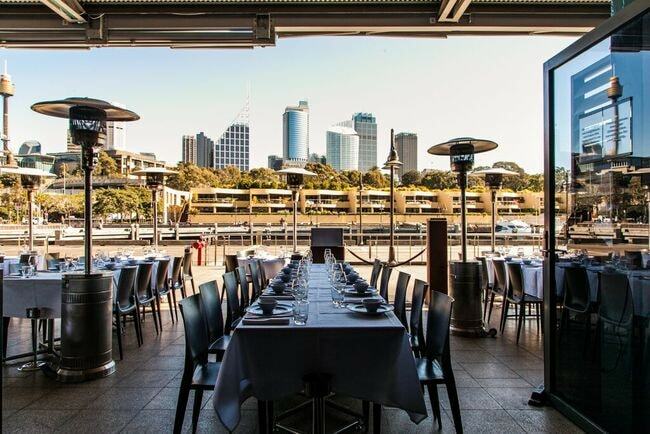 Ms. G’s is the ideal spot for a dinner date or large gathering, close to Sydney Harbour and all of its offerings. Find the closest slice of Italy at this authentic Italian eatery in Kings Cross, just moments from Sydney Harbour. With vegetarian and vegan options to boot, the menu is bursting with tastes, textures and that good old wow-factor — and all at very reasonable prices. 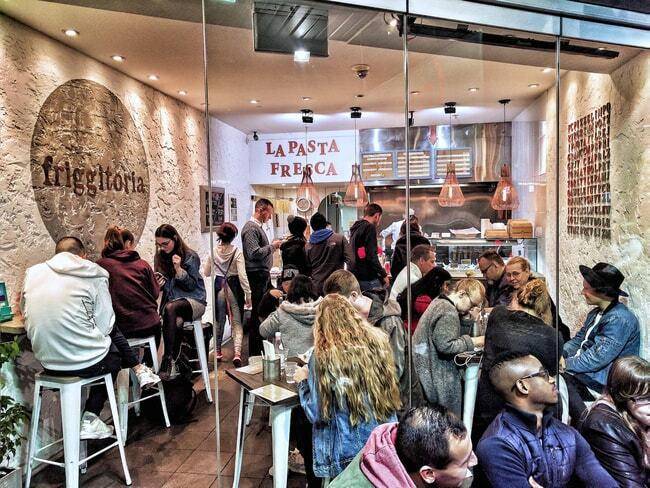 Guess it’s no surprise that Friggitoria is always buzzing with hungry Italian street food fans. This seafood restaurant boasts some of the coolest Asian-inspired seafood dishes in town; pair that with stunning Sydney Harbour views and you’re onto a winner. The style is edgy, on-trend, industrial chic. With a seasonal menu that never fails to impress, by Head Chef Ian Royle, it comes as no surprise that Flying Fish was awarded 2017 Seafood Restaurant of the Year at the Savour Australia Restaurant & Catering Hostplus for Excellence, 2017. China Doll is renowned for its a stylish pan-Asian menu, seasonal cocktails and some of the best views of Sydney Harbour. Consistently producing a clever and curated menu, drawing inspirations from China, Hong Kong, Japan and South East Asia, China Doll will keep the guest’s palates dancing with a vision behind each carefully designed dish. Expect style, sophistication and downright delicious Asian fare. 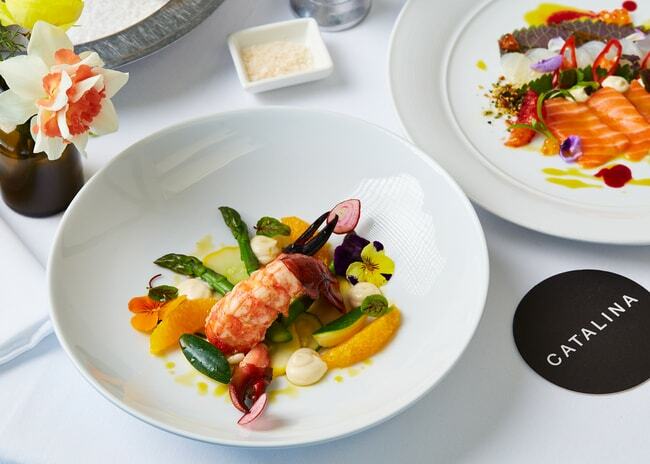 Quay is one of Australia’s most-awarded restaurants. From its Three Chefs Hats status to being named Restaurant of the Year six times in The Sydney Morning Herald Good Food Guide, or its five-year listing as one of the World’s 50 Best Restaurants, the list just goes on. 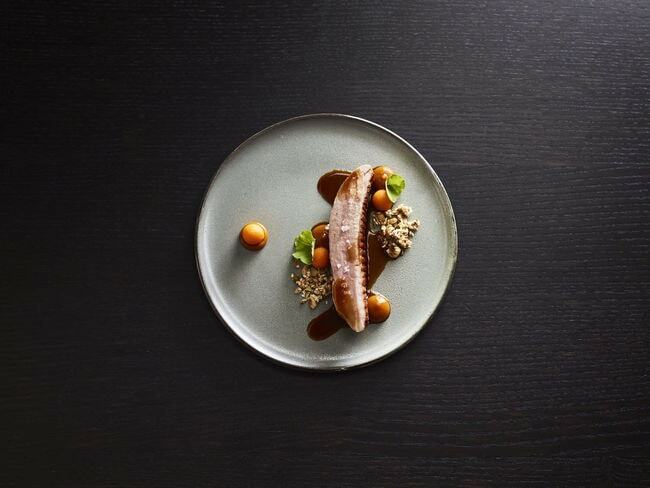 What it comes down to is the superior culinary craftsmanship from Executive Chef Peter Gilmore paired with exquisite service and some of the most stunning scenery out there, that being Sydney Opera House of course. This contemporary sushi joint is one of the finest in the locale. With multiple locations across the country, Saké has climbed its way into charts, firmly establishing itself as one of the big kids on the block. The Rocks Saké restaurant and bar not only boasts Good Food Chefs Hat for six consecutive years and two Goblets from Gourmet Traveller Wine but a perfect locale right near Sydney Harbour. Modern Australian fare at its finest is a simple way to sum up this harbour-side restaurant. 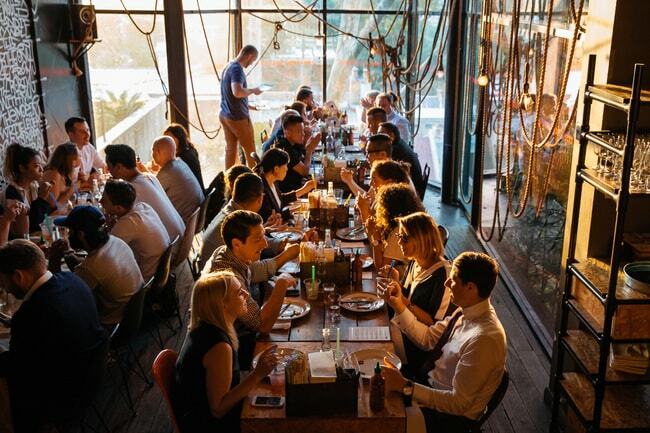 A stunning venue for a wedding or a private party without doubt, it comes as no surprise that Sails on Lavender Bay is usually buzzing throughout the week with hungry revellers taking on the scenery with a contemporary menu boasting only the best seasonal produce. Sails on Lavender Bay. 2 Henry Lawson Avenue. McMahons Point. Sydney. Australia. +61 (02) 9955 5998. ARIA is a refined fine-dining haunt boasting some of the best examples of modern Australian fare in Sydney. Situated harbour-side, ARIA offers breathtaking views of the water from its public and private dining rooms. Whether it be a wedding, private event or celebratory dinner, Chef Matt Moran never fails to impress at ARIA.